Well London was great as ever. Busy streets and shops, great atmosphere. I really enjoyed my stay. On the downside, I wasn’t able to score any Joes. Hamley’s and Harrods don’t sell them and the local Toys ‘r Us had no stock. I did find some toys @ the Forbidden Planet 2 years ago, so my hopes were still up, but even they didn’t have any for sale. I did find some comics @ the Forbidden Planet and I finally bought a copy of Jake Humphrey’s Inside Track (link) @ Waterstones (and the nice people there gave me a free(!) copy of Anthony Horowitz’s Alex Rider: The mission files (link)). 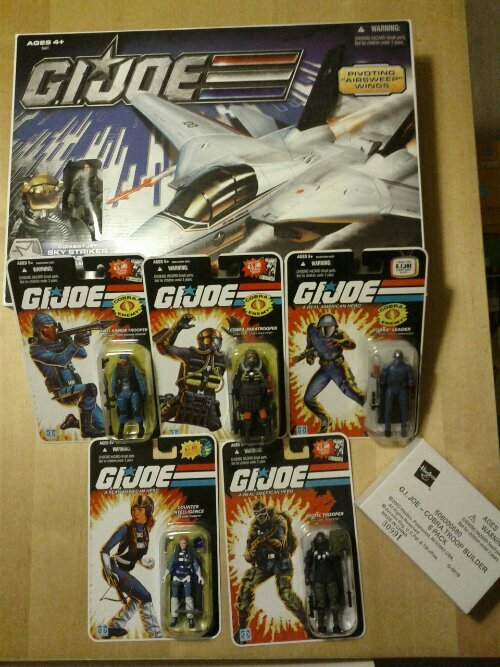 F1 and Mr. Horowitz’s novels being another one of my many interests, it made up for some of the dissappointment of not getting any new Joes. Coming home was another yet another troublesome adventure. The Eurostar train had (again!) one of it’s “Technical issues” causing us to miss our connection back home.